This Smile Big Sonic Ultra Toothbrush features 22,000 brush strokes per minute. Includes replaceable brush heads. It's compact, lightweight and perfect for travel. Cap keeps your brush protected from germs and bacteria. 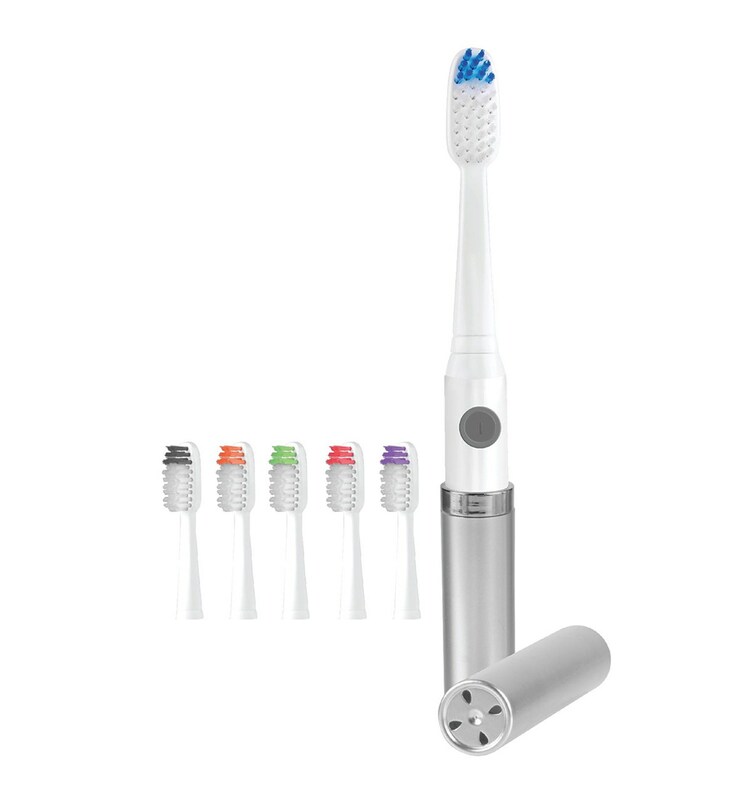 Includes 1 AAA battery, sonic toothbrush, 6 brush heads, user manual and one-year warranty card. Measures 6 1/4 inches long with toothbrush head attached.